Republican Gov. Louis Emmerson led the charge for a progressive income tax. Illinois Republicans have made it absolutely, undeniably, incontrovertibly, indisputably, unquestionably -- pick your adverb -- clear that they're opposed to Gov. J.B. Pritzker's call for a graduated income tax to deal with the state's dire fiscal health. • All 44 GOP representatives are signed up as sponsors or co-sponsors to a resolution by House Minority Leader Jim Durkin (R-Western Springs), HR 153, which argues a graduate tax would "create added burdens and dissuade economic prosperity," "the so-called progressive income tax punishes hard-working, middle-class families and small businesses that make up the majority of the tax base," and "would mean turning our backs" on Illinois residents. 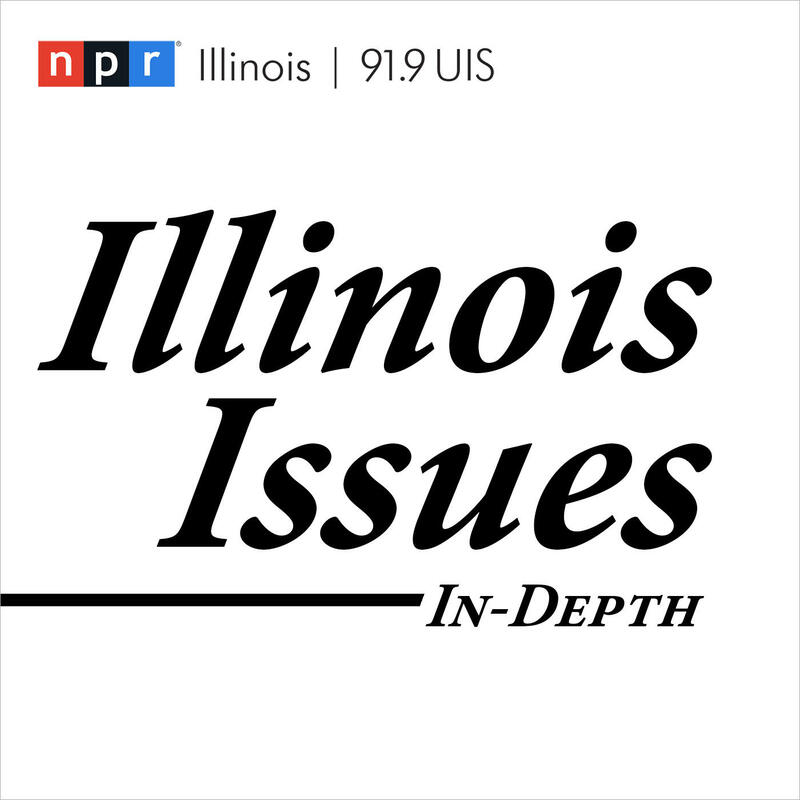 • "More tax hikes will not solve Illinois' fiscal problems. Pritzker's proposed $3.4 billion tax increase will lead to even more out-migration of Illinois families, businesses, and jobs. Tax-and-spend Illinois Democrats cannot be trusted with more of our tax dollars. That is why Illinois Republicans stand united against the Pritzker-Madigan tax hike..." Republican State Chairman Tim Schneider. Given such disdain, would you be surprised to learn that once upon a time Illinois enacted a graduated income tax? Proposed by a conservative Republican governor and passed by a GOP-majority Legislature? Largely with Downstate and Republican votes, as almost all Chicagoans and most Democrats opposed the plan? Well, it's all true. Here's how it happened, back in the winter of 1931-32, when the lion's share of state revenues still came from a state -- not local -- tax on real estate and personal property like automobiles, household goods, inventory, and other effects. Emmerson "was a courageous executive who tried to cure the financial hangovers of the almost bankrupt Cook County governments," wrote the late Robert P. Howard, a former Chicago Tribune Springfield correspondent, in his excellent collection of Illinois gubernatorial biographies, "Mostly Good and Competent Men." "He didn't foresee the Depression-- no one did-- which became his biggest burden, as it was Hoover's." As the economic crash took hold and Illinoisans suffered, Emmerson appointed special relief commissions and called the General Assembly into four special sessions, the first convening on November 5, 1931. His proclamation noted "local and state governments in Illinois are face to face with the most serious financial crisis in their history." An untimely Cook County property tax reassessment in 1928 meant tax collections were two years behind schedule, and Cook had not paid its share of state or local taxes during that time, almost $550 million, or $10.2 billion in today's dollars. Moreover, the total statewide property tax base was down some $1.7 billion-- $32 billion inflation adjusted-- 20 percent lower than in 1928. "Due primarily to delay in the collection of taxes and shrinkage in the amount of money realized from local assessments, the governments of Chicago and Cook County are unable to meet current bills, to fulfill their financial obligations, or to obtain additional credit, and failure of Cook County to pay its share of taxes has seriously handicapped the state government," Emmerson said. Property owners paid no taxes for two years and most of them set aside no reserves to meet the bills when they were finally presented, the governor noted. "In the meantime, an industrial depression reduced the income of property owners to such an extent that many of them found themselves unable to pay," he added. Emmerson urged lawmakers to be guided by "the general principle that there must be no increase in the burden of taxation, but there should be a better distribution of that burden," and "receipts from new methods of taxation be used to reduce property taxes." The preferred solution, Emmerson's tax conference reported to lawmakers with his blessing, was an income tax with graduated rates. "Every consideration points to the conclusion that the time has come for the enactment of a state income tax," the panel said. "The fairest distribution of governmental burden yet devised has been accomplished by the federal income tax," copied by 16 states with "satisfactory results and the production of revenues at the expense of those best able to bear the burden." Going to an income tax was necessary to increase the taxpayer base to produce the needed revenue and also to spread the costs of government over a larger proportion of citizens than represented by real estate taxpayers, which the committee deemed "socially equitable (and) politically desirable." The new revenue would go to replace state property taxes for local schools, to provide financial assistance to relief efforts in Cook and other counties, and to underwrite grants to local school districts. A legislative package embodying the commission's recommendations was filed in the Senate a week later, including SB 20, the income tax measure. Despite efforts largely by Chicago Democrats to water down or sidetrack the proposal, the proposal cleared the Senate, 29-17, on December 16 and moved to the House. Here, too, the bill's supporters fended off hostile amendments and motions, ultimately making only one notable change-- increasing to $2,500 from $2,000 the exemption for heads of families-- before approving the plan, 78-59, on February 2. The Senate accepted the House changes the next day, 28-15, and Emmerson signed the bill on February 22. Contrary to what today's political observers might expect, the roll calls in both chambers showed Republicans solidly behind the plan, Democrats generally against, and Cook County lawmakers of both parties resolutely opposed. In the Senate final vote, Republicans supplied 24 of the 28 "yes" votes, while Chicago Democrats were 11 of the 15 "no" votes, the other four being Chicago and suburban Republicans. Three Downstate Democrats supported the plan, as did two Chicago Republicans. In all, the measure was rejected by 17 of the 19 Cook County senators. The roll call was similar in the House. Of the 78 "yes" votes, none came from Cook County's 57 representatives-- 30 Democrats and 27 Republicans, including one Democrat and three Republican suburbanites. Among the "no" votes was House Speaker David E. Shanahan, a Republican from Chicago's Bridgeport neighborhood and the longest-serving speaker in state history, until his record was eclipsed by another South Side Irishman, Michael J. Madigan. Four Downstate Democrats also rejected the governor's plan. Forty-five Republicans and 33 Democrats from the collar counties and Downstate provided the margin of victory, setting the stage for Emmerson's signature on February 22, giving Illinois its first-ever income tax, a graduated one to boot. The new law contained six brackets with increasing rates. Income up to $1,000 would be taxed at 1 percent, while increments from $1,000 to $4,000 would see a 2 percent rate. The rate would be 3 percent up to $9,000, 4 percent up to $16,000, 5 percent to $25,000, and 6 percent for increments above that. A single person would get a $1,000 exemption, which jumped to $2,500 for family heads. Credits of $300 were included for children younger than 18 and dependents, and homeowners could cut their income tax bills by $100 paid for property taxes. Adjusted for inflation, the exemptions would be generous by today's standards-- almost $18,000 for a single person, more than $46,000 for the head of a family, and $5,600 for youngsters. Illinois' current personal exemption is $2,225, worth just $120 in 1932 dollars. Emmerson's victory was short-lived, however. Exactly eight months after he signed SB 20, the Illinois Supreme Court without dissent ruled the income tax law violated the Revenue Article of the 1870 Constitution, which limited the Legislature's revenue-raising powers to taxing property based on its value, licensing occupations (including specifically "peddlers... hawkers... showmen (and) jugglers," among others), and franchises and privileges. Income is property, the justices said, and all taxes must be levied on property by valuation, so "an attempt to levy a tax upon property (income) by means of a graduated scale that increases in rate as applied to increases from personal property and earnings" violates the constitutional provision. With Illinois finances still reeling from the Great Depression, a year later Emmerson's successor, Democrat Henry Horner, and newly-elected Democratic legislative majorities enacted a new tax on an occupation-- selling tangible personal property at retail-- and the court gave its blessing to what's commonly known as the Illinois sales tax. Not until 37 years after Emmerson's setback did Illinois finally establish an income tax, when in 1969 Republican Gov. Richard B. Ogilvie and Democratic Chicago Mayor Richard J. Daley negotiated a flat-rate tax, at 2.5 percent for individuals and 4 percent for corporations. This time, a unanimous Supreme Court quickly upheld the measure, ruling the tax was not imposed on property, but rather on "the privilege of earning or receiving income." Moreover, the justices noted, the 1870 Revenue Article also authorizes the Legislature to tax other subjects or objects. The statement in the 1932 decision that the General Assembly is limited to property taxes, occupation taxes, or privilege taxes "is disavowed," the court said. The following year Illinois voters adopted a new Constitution specifically permitting an income tax, but only at "a non-graduated rate," essentially codifying the Ogilvie-Daley deal. Now, after half a century with the flat tax as the status quo, Pritzker is hoping to write the next chapter in the state's income tax saga, finally realizing Emmerson's vision of a progressive income tax. Republicans in the Illinois House are speaking out against Gov. J.B. Pritzker’s proposed graduated income tax. J.B. Pritzker is reiterating his call for a graduated income tax — and says before that, Illinois might need to raise its existing flat tax rate.